Posted 20 December, 2016 by Jo Wilson & filed under Engineering, Marine, Renewables. Our main project this year has been a fascinating one with Sea Power Ltd, as part of the Wave Energy Scotland Novel WEC programme. 4cE headed up and managed this £300k project, undertook two successful tank testing campaigns at Kelvin Hydrodynamics Laboratory, and carried out concept engineering and cost modelling activities for the full scale wave energy convertor. Other aspects of the project included production of a validated numerical model by DNV GL, and an investigation into the feasibility of concrete structures carried out by ARUP (Ireland). We look forward to entering for Stage 2 next year. 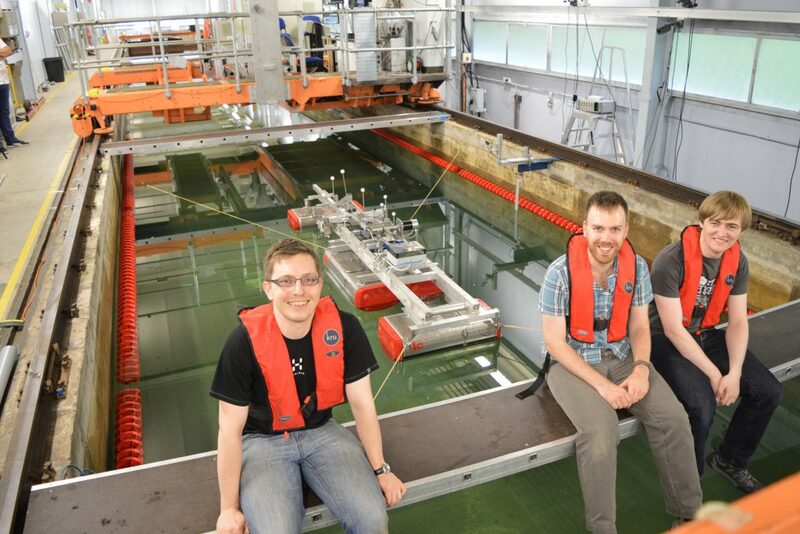 4c Engineering test scale model of the Sea Power Platform at Kelvin Hydrodynamics Laboratory. Building on previous work for AWS Ocean Energy, 4c worked on two models for different stages of the competition, taking the designs from pencil sketch through to functional, instrumented scale models for tank testing. This was an excellent example of collaboration with our colleagues at 4c Design, who worked tirelessly to complete the physical build to the CAD drawings and specifications put together by 4cE. Waveswing America went on to win 3rd place in the US Dept. of Energy’s Wave Energy Prize out of 92 entrants, netting a $250,000 cash prize. Read the full case study here. Equalizer International is the world’s leading designer and supplier of flange maintenance tools. For almost 20 years, Equalizer’s patented, award winning tools have been addressing the challenges of flange alignment, flange spreading and flange pulling. 4cE carried out a package of design work for a new series of flange spreading wedges, assessing load cases, and carrying out FEA studies and physical testing. 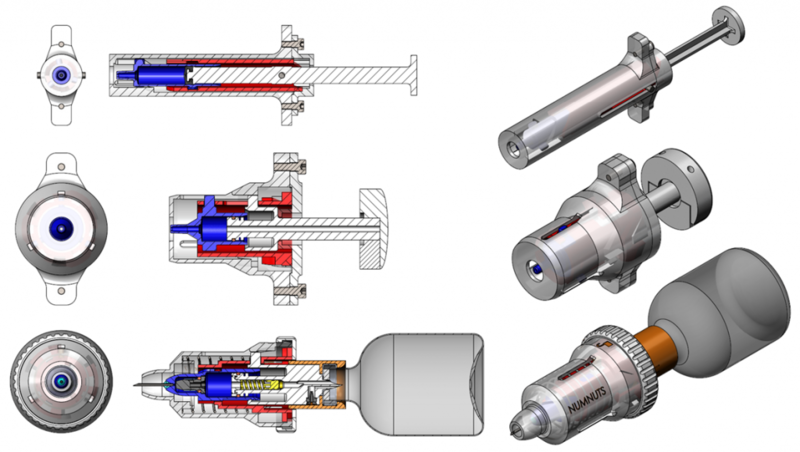 We produced a full package of manufacturing drawings for all components and assemblies, and produced renders and diagrams for technical documentation. Equalizer International 14 Tonne spreading wedge tool. 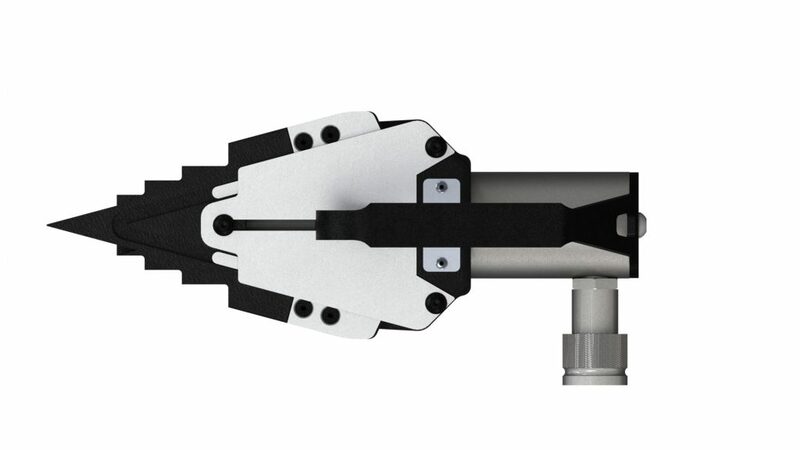 Our sister company 4c Design have been working on their Numnuts ring applicator and injector hand tool to improve ergonomics and animal welfare. 4cE investigated different types of handle mechanism, using motion studies in SolidWorks to optimise the handle mechanisms, matching typical hand grip strengths and ranges of travel to the forces and displacements required to open the docking rings. We also invented a (now patented) rotary mechanism for a two-stage injector, using 3d-printed prototypes to quickly iterate through the design process, incorporating more features each time and reducing the length of the assembly to reach the final design which was incorporated into the tool. Read the full case study here. 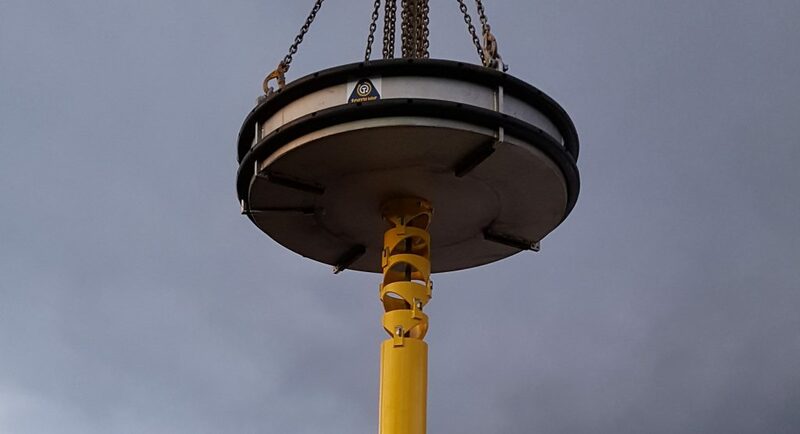 Torquer‘s Hands-free Autonomous Load Orientation (HALO) device is a beautifully simple and groundbreaking innovation with the potential to vastly reduce H&S incidents associated with lifting, particularly in the offshore industry. Water is propelled around an annular tank, and the reaction against the change of momentum in the fluid used to turn a load without the use of taglines, allowing banksmen to remain at safe distance. 18 months or so ago, 4cE carried out design calculations and parametric modelling to investigate the effect of changing different physical parameters on its performance. We’re delighted to see the progress that has been made, and look forward to seeing it gain traction in industry. See Torquer’s HALO prototype in action here. Finally, we were pleased to welcome three new babies to the 4c family, and Jo somehow managed to put out an album!